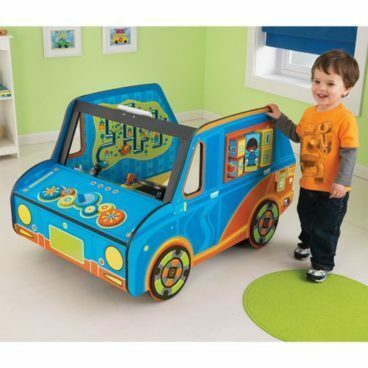 KidKraft Activity Car Just $45.04 (Was $114)! You are here: Home / Great Deals / Amazon Deals / KidKraft Activity Car Just $45.04 (Was $114)! This is the cutest little car! Kids will jump for joy when they get a look at KidKraft’s jumbo-sized Activity Car. With its steering wheel and rear-view mirror, this interactive car is full of realistic details that make it look just like mom and dad’s favorite vehicles. Originally $114, both Amazon and Jet have this item on sale for $52.99. But if you are new to Jet.com you get 15% off your first 3 orders of $35+ AND you get FREE shipping on orders of $35+! Which means you can get this for just $45.04, shipped FREE! Just use promo code TRIPLE15 at Jet to get this great deal!